Nuttrisaude: Dieta promete 'reverter' diabetes em oito semanas- SERÁ? Leia o artigo. Dieta promete 'reverter' diabetes em oito semanas- SERÁ? Leia o artigo. O que comemos hoje em dia, juntamente com o estilo de vida sedentário, pode nos deixar com excesso de peso e também nos deixar em alto risco de desenvolver diabetes tipo 2. 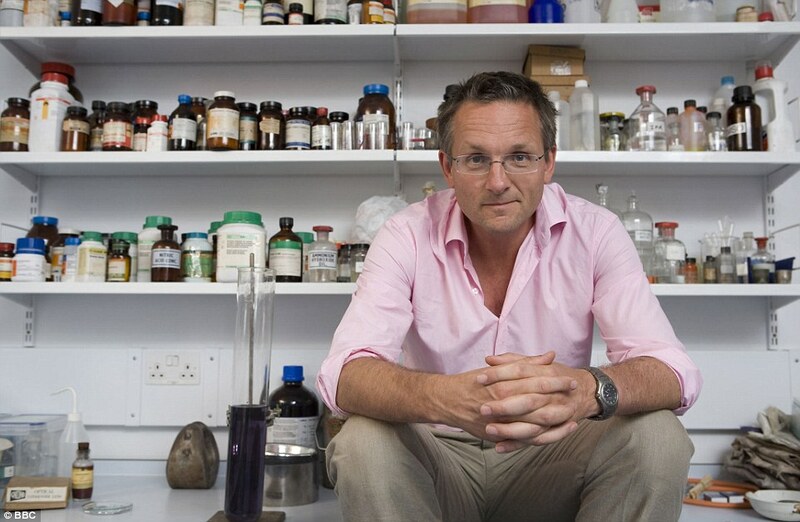 Tendo por base a pesquisa desenvolvida pela Universidade de Newcastle, o Dr. Michael Mosley desenvolveu um plano alimentar e um programa que não só deverá reduzir o risco de desenvolver diabetes tipo 2, como poderá reverter a doença caso já sofra dela – tudo em oito semanas, explica o especialista em um artigo para o Daily Mail. Siga os pilares essenciais da dieta mediterrânea: Muitos vegetais e fruta, peixe gordo, carnes magras, frutos secos e gorduras saudáveis. Depois adotar uma dieta 5:2, que consiste em restringir o seu consumo de calorias a 25% das suas necessidades de energia (calorias totais diárias) durante dois dias por semana – para cerca de 500 calorias para as mulheres e cerca de 600 para os homens, e comer normalmente (mas de forma saudável) no resto dos dias. 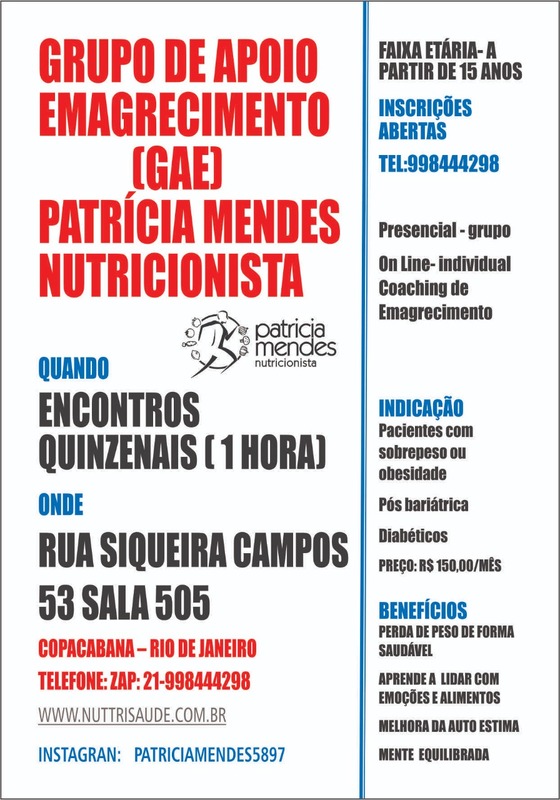 Além de promover a diminuição da diabetes tipo 2 também irá promover a perda ou manutenção do peso. Claro que deve praticar exercício físico, ou pelo menos tentar mexer-se o máximo possível todos os dias, bem como evitar consumir bebidas alcoólicas. Pode ver as sugestões de ementas deste especialista para uma semana abaixo em inglês. 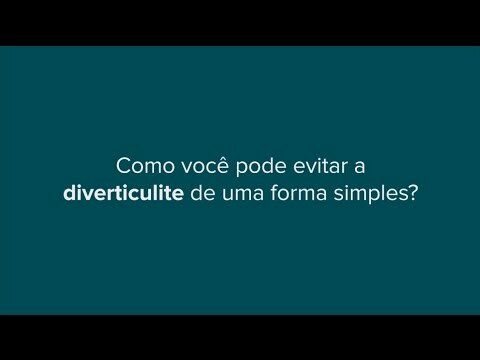 Pode usar o tradutor, caso não saiba inglês. The food we eat today, along with our sedentary lifestyle, is not only making us fat but putting us at risk of Type 2 diabetes — and it’s one of the greatest epidemics of our time. More than 4 million Britons now have this disease, while one in three adults has raised blood sugar levels that can lead to diabetes, yet most don’t know it. Now, help is at hand. Based on research carried out at the University of Newcastle, I have put together a simple diet plan and lifestyle programme that should not only reduce your risk of getting Type 2 diabetes, but can reverse it in those already suffering — all in only eight weeks. What’s more, it’s not just for those at highest risk but for anyone who wants to lose weight fast and regain control of their health. Sounds good? Well, here’s a little story to inspire you. Hanging in the wardrobe at 56-year-old Alan Tutty’s home in Sunderland is an old shirt that he won’t be throwing out any time soon. According to Alan, a father of four, it once used to fit him ‘like cling-film’. These days, it’s much looser — which is all down to the diet he went on three years ago. In just eight weeks, Alan lost two stone. And he has since kept most of that weight off, even though he admits to being ‘no angel’. Far more significant than the fit of his shirt, though, is the fact that Alan, who was diagnosed with diabetes shortly before he began the diet, has had normal blood sugar levels ever since. Yet he might still have had Type 2 diabetes today had he not been lucky enough to be one of 11 people recruited for a research trial at Newcastle University, conducted by Roy Taylor, professor of medicine and metabolism. As I explained in Saturday’s Mail, Professor Taylor has met a lot of opposition for claiming that a very low-calorie diet can swiftly reverse Type 2 diabetes. And yet the results of this experiment were nothing short of remarkable. By following a strict diet for two months, the volunteers lost an average of 33 lb and 5 in around the waist. And all saw their blood sugar levels return to normal. A follow-up study, with people who had been diabetic for longer, found that most achieved similar results. That is why Professor Taylor’s research is the inspiration for my new Blood Sugar Diet. It follows on from my highly successful Fast Diet, which helps people lose weight with what I call a 5:2 regime — eating normally five days a week and cutting your calorie intake for the other two. If you have pre-diabetes — blood sugar levels that are abnormally high but fall short of the diabetic range — I offer a plan that should stop you progressing to full-blown Type 2 diabetes, the kind associated with poor diet and an unhealthy lifestyle. And if you already have Type 2 diabetes, significant weight loss can even reverse it. 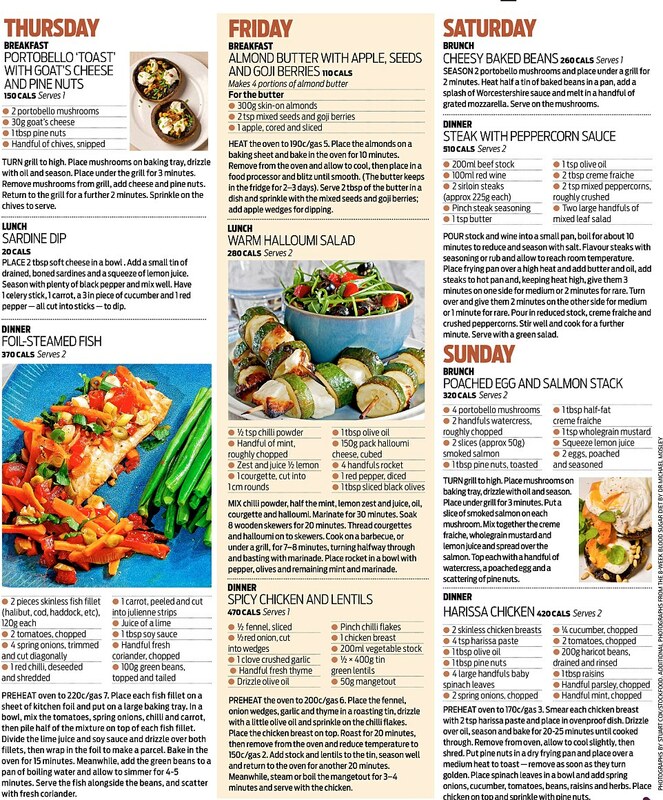 Today, I’ll outline suggested menu plans for the first week (created by leading dietitian Dr Sarah Schenker). But if you are to stick to the diet, it’s important that you understand the thinking behind it, so I want to explain a key feature that is crucial to the diet’s success. This is an emphasis on the Mediterranean way of eating. Many experts now believe that the recent surge in diabesity (diabetes plus obesity) has been fuelled by an obsession with low-fat eating, leading to over-consumption of cheap and easily digestible carbohydrates. Rapidly absorbed by your body, these create an instant spike in blood sugar levels, which then crash, making you hungry again and eventually causing your body to become resistant to insulin, the hormone that regulates our blood sugar. This, in turn, contributes to the build-up of fat in your liver and pancreas, which, Professor Taylor suggests, lies at the heart of our blood sugar problems. The ‘baddies’ include not just the sugar that you quaff down in fizzy drinks or add to your tea, but also consuming too many natural sugars such as honey, maple syrup, agave nectar etc. Processed foods — crackers, cakes, breakfast cereals — are stuffed full of sugar, as are more surprising foods such as muffins and flavoured yoghurts. Easily digestible carbs include starchy foods — bread, rice, pasta and potatoes — and yet, diabetics are encouraged to eat plenty of these as part of the standard medical advice, which suggests that they should cut down on sugar and follow a low-fat diet. I was recently in a London teaching hospital chatting to a 55-year-old man who was about to have his foot amputated because of Type 2 diabetes. Twenty years ago, you could have been forgiven for feeding diabetics this sort of food. But since then, there have been dozens of studies suggesting this is not the way to go. A recent review of 20 research trials, involving a total of more than 3,000 people with Type 2 diabetes, found that if you want to lose weight and improve your cholesterol and blood sugar control, then your best bet is a Mediterranean diet. People have been talking about the Mediterranean diet for years — but how many of us know what it really is? It’s certainly not a diet that most people associate with the Med. There is no pizza or pasta: instead, it emphasises the importance of eating fruit, vegetables, oily fish, nuts and olive oil. There are carbs in this diet, but they’re the sort that contain lots of fibre. It means they take longer to be absorbed by the body and won’t cause those dangerous spikes in blood sugar. Examples include vegetables, legumes (beans, pulses and lentils) and wholegrains. The impressive thing about Mediterranean-style eating is just how widespread its benefits are. Studies have shown that it not only cuts your risk of heart disease and diabetes, but it may also delay the onset of dementia and cognitive impairment (when you struggle with remembering, learning new things and making decisions). Consuming extra-virgin olive oil seems to be particularly beneficial when it comes to preventing breast cancer, perhaps because it contains compounds such as polyphenols, which are known for their anti-inflammatory effects. 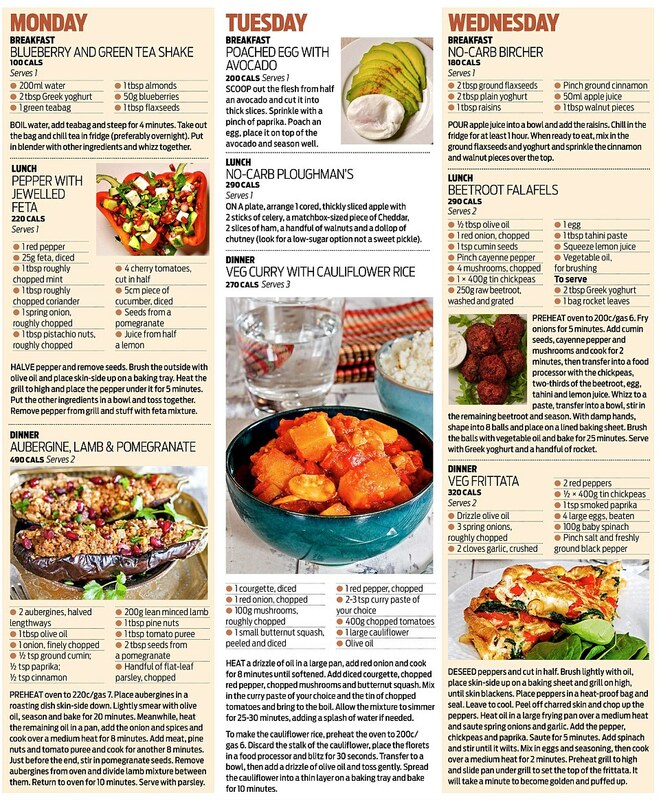 All in all, this is a fantastically healthy and tasty way to eat. It takes many of the best features of a low-carb diet and makes them more palatable, and that’s why it’s at the crux of the Blood Sugar Diet. On this page, you will find a suggested menu plan for the first week of the diet (those for the next three weeks will follow later this week). If you repeat these four-week menu plans for a second month, by the end of week eight you should have seen the pounds drop off dramatically — and your blood sugar returning back towards normal. Feel free to mix and match recipes from different days. You will get quickest results from sticking to 800 calories a day. If this sounds too difficult, don’t worry, later in this series I will be outlining how to use the 5:2 approach to achieve better blood sugar control. But first, some important checks. ■ you are on insulin or any diabetic medication other than metformin. You may need a suitable reduction in dosage to avoid too fast a drop in blood sugar. ■ you are on blood pressure tablets — you may have to reduce the dosage or come off them. The same applies to glucose-lowering drugs, ones that begin with the letter G, like glibenclamide and gliclazide, which may have to be stopped because they can push your blood glucose abnormally low. ■ you have moderate or severe retinopathy. You should have extra screenings within six months of reducing diabetes. ■ You are pregnant or breastfeeding. ■ You have a psychiatric or eating disorder. ■ You are taking warfarin. ■ You have a significant medical condition. ■ You are unwell or have a fever. Don’t follow the diet if you are under 18, your BMI is below 21, or you are recovering from surgery or are generally frail. You should also confirm with your doctor that you really are a Type 2 diabetic. There are other, rarer forms that will not respond in the same way to weight loss. 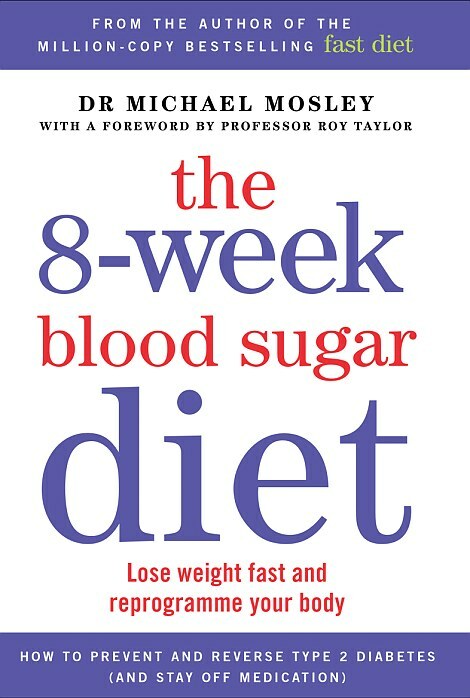 Adapted from The 8-Week Blood Sugar Diet: Lose Weight Fast And Reprogramme Your Body by Michael Mosley, published by Short Books at £8.99. © Michael Mosley 2016. To order a copy at the special price of £7.19 (offer valid to 23.1.16), call 0808 272 0808 or visit www.mailbookshop.co.uk. P&P free on orders of more than£12. Stand up every hour at work. Sitting still for more than eight hours a day raises the risk of Type 2 diabetes by 90 per cent, a study found. Don't bother with diabetic chocolate - it may still raise blood sugar and the sweeteners it contains can have a laxative effect - have two squares of dark chocolate instead. As I have explained in this series, part of the reason why so many of us are at risk of diabetes — or pre-diabetes — is because we eat diets that are far too rich in easily digestible carbohydrates, which can send our blood sugar levels soaring. The trouble is, many people find them addictive. Try this short quiz about your relationship with carbohydrates to see if you’re among them. ÷ Do you often consume sweetened or flavoured drinks (including fruit juice and artificially sweetened drinks)? ÷ Are you eating large portions? ÷ Do you often feel unsatisfied, even soon after finishing a meal? ÷ Do you sometimes snack late in the evening or during the night? Add up the number of ‘yes’ answers and see which group you are in below. 0–3 You don’t appear to be addicted. You can take them or leave them when it comes to eating carbs and probably have a fairly healthy attitude towards food. 4–8 You may be addicted to carbohydrates. You like your carbs, but are probably managing to keep them in check. This may require a certain amount of self-control. At times, you probably find this a bit of a challenge. The problem with carbs is that for many people, the more you eat, the more you want. It is a slippery slope. 9–13 Moderately addicted to carbs. You are eating considerably more than you know is good for you and probably feeling bad about it. You are likely to be feeling hungry much of the time, preoccupied by food and at times struggling to control your cravings as a result of a degree of insulin resistance. You are probably at risk of developing diabetes, if you don’t have it already (even in the early stages). It is worth getting regular health checks. 14–17 Severe addiction to carbs. Avoiding carbs is a real challenge for you. You are likely to be constantly hungry, preoccupied by food and feeling bad and guilty about your eating. You are highly likely to have insulin resistance (metabolic syndrome). Given the amount of carbohydrates you are eating and your unhealthy relationship to them, you are at significant risk of developing diabetes, if you don’t have it already. Definitely worth getting regular health checks. This is also known as ‘early onset’ because it typically occurs in childhood and young adults, though it can arise later in life. For various reasons the body stops producing insulin, so Type 1 diabetics have to get the hormone by injections or via a pump. Although it is not closely linked to weight gain, keeping weight down and remaining active are still important. This is by far the most common form (affecting 90 per cent of diabetes sufferers) and occurs mostly after the age of 40, though now it is starting to appear earlier and earlier. It happens when you become severely insulin-resistant or your pancreas stops producing enough insulin. There are many causes, but high levels of fat in the liver and pancreas seem to be a major factor. This is the type of diabetes that this diet can help prevent — or even reverse. This affects pregnant women. No one really knows why it happens, but one theory is that the hormones produced during pregnancy can block insulin receptors, making some women more insulin-resistant. It is important to test for the disease because it can affect the long-term health of mother and child. Babies who are exposed to high levels of glucose in the womb are more likely to become obese and develop diabetes later in life. In most women, the insulin resistance goes soon after the child is born, but they are still at greater risk of developing Type 2 diabetes later in life. You may be wondering why I’m advocating a diet that restricts you to only 800 calories a day. After all, most of us have heard countless times that if you lose weight fast you will put it all back on even faster. This is a key part of dieting folklore, but trials have shown that if you want to diet successfully, it can be better to lose weight faster rather than slower. One explanation is that rapid weight loss motivates dieters to stick with their programmes. A very low-calorie diet also means fewer carbohydrates, which forces the body to burn fat faster. The important thing is to move to a sustainable way of eating when you come off the diet. False: In a recent experiment looking at the effects of short-term calorie restriction, 11 healthy volunteers lived on nothing but water for four days and their metabolic rate went up. By day three it had risen, on average, by 14 per cent. 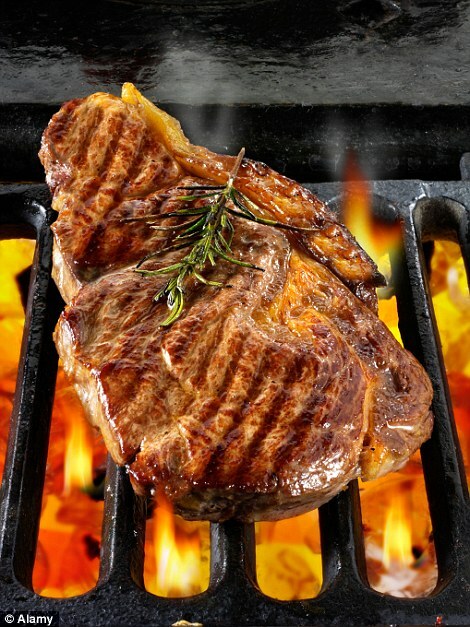 One reason for this may have been an increase in hormones known to burn fat. In the long run, your metabolic rate will slow — however quickly or slowly you lose weight — simply because you are now no longer carrying the equivalent of a large, heavy suitcase full of fat wherever you go. That is why it is important to maintain your metabolic rate by keeping active, something I’ll talk about in more detail later in this series. False: Research suggests that people who set out with more ambitious goals tend to lose more weight. In one study, some 2,000 overweight men and women were asked about their goals before they started on a weight-loss programme. Their progress was followed for two years, by which time those with ‘less realistic’ goals had lost the most weight. False: Many people who have followed a very low-calorie diet say that hunger typically disappears within 48 hours. Some people get problems such as headaches, but these are often due to dehydration — you are missing out on the fluid you would normally take in with your food, plus as you burn fat you lose water. If you don’t drink enough, your blood pressure can drop and you may feel faint. To anticipate and avoid this you should increase your fluid intake. In tomorrow’s Mail I’ll give you tips on this and many other aspects of embarking on the pathway back to good health.